Complimenting our process development and equipment offerings is an extensive inventory of vibratory finishing media, carbon steel and stainless steel burnishing media,blasting abrasives, and chemical compounds for vibratory finishing processes, parts washers, and rust inhibiting. All products are manufactured with the highest quality ingredients. Our quality control standards insure that our products deliver a consistent, repeatable process time and time again. Products in stock are shipped for "just in time" next day delivery. Special expedited shipping is available for same day service within 150 miles of our Cincinnati warehouse. For Vibratory Finishing we offer a wide range of size and shape media. Ceramic, Plastic, Synthetic, Carbon Steel, Stainlesss Steel, and Aluminum media is available for the following applications. Highlander brand finishing chemicals are formulated for todays strict environmental regulations, water treatment, and water reclaimation systems. 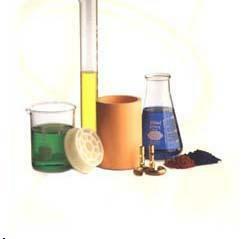 All products are "EPA Friendly", water soluble, biodegradable formulations available in liquid and powder form. A large selection of standard "off the shelf" products along with compounds custom blended to your specifications enable us to fill any requirements. Package size for liquids is 5 gal., 55 gal., and 275 gal. returnable tote. Powder products can be ordered in 50 lb., 200 lb., and 400 lbs. drums. All loose abrasive products are available in 50 lb box or bag packaging. Next day shipping to our customers with special expedited same day delivery as requested. As with all of our supply items we only offer consistent, high quality abrasives for repeatable processing.